After 3 years from releasing the 1st movie of Madagascar(2005), finally, DreamWorks Animation will publish Madagascar part 2 this year, will be set on November. The story for 2nd part is about the animals which are planning to get back to New York by flying a plane. Unfortunately, instead of flying back to New York, they crash-landed on Africa. And there goes the story. Enjoy the trailer below. 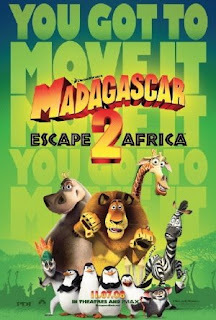 Here's the official trailer for Madagascar: Escape 2 Africa.